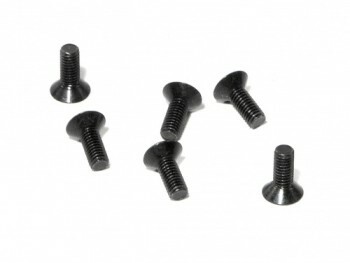 This is a package of 3x8mm Flat Head Machine Screws from HPI Racing. Flat head with a phillips recess drive insert. Can be used anywhere this size is needed.